GWTT installed a groundwater extraction and treatment system in Kearny, New Jersey designed to remediate groundwater contaminated with hexavalent chromium (Cr VI), dense non-aqueous phase liquid (DNAPL), and volatile organic compounds (VOCs) from a total of 42 hydraulic control wells installed within the confines of a slurry wall. 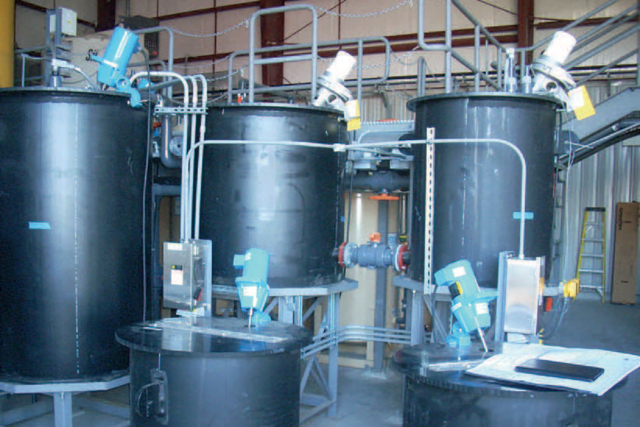 The treatment process utilizes chromium reduction, metals precipitation, pH adjustment, and carbon/organoclay technologies to maintain the system effluent within limits of a NJPDES DSW permit. 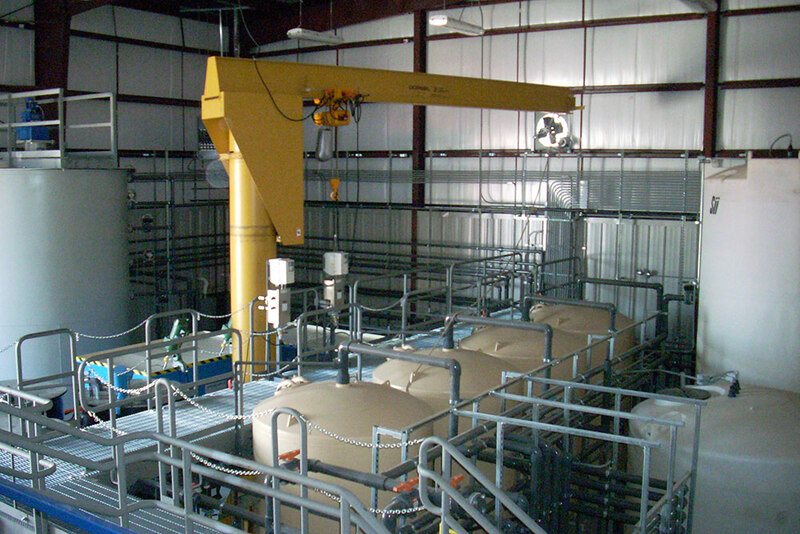 GWTT was responsible for the installation of all interior building treatment components and mechanical work, including process piping, HVAC, electrical, and instrumentation and controls. 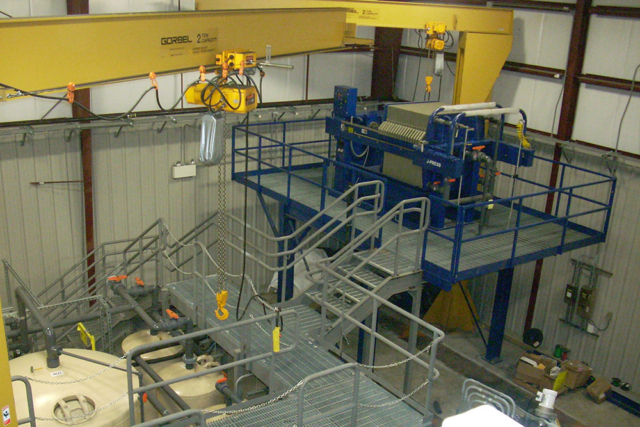 Specific system components and equipment included: 20-cubic-foot plate filter press and platform, 5 LPGAC units, 2 organoclay units, 10,000-gallon sludge thickening tank, flash/floc and clarifier tanks, pH adjustment system, 2 20-ft x 18-ft 2-ton jib cranes, elevated steel mezzanine and stairways, GAC backwash system, transfer pumps, sludge-handling pumps, 42 recovery wells with local control panels, process and well pump controls, and instrumentation and control systems. After completion of the system installation, startup, and optimization, GWTT operated and maintained the system, employing a licensed industrial treatment plant operator (N3).